Note: this page and neighboring pages are from older teaching materials used for a lab on GIS and the corresponding lecture/discussion series developed on ‘GIS, population health surveillance, epidemiology and public health’. With growing concerns about the recent in-migration of people from other countries into the US, being able to provide these individuals with the health care they need has become an issue of topic priority. These concerns focus on two major aspects of this growing industry: the sheer numbers of people in need of care estimated to be in the millions, and the cost per individual for the care related needs. Neither of these issues are really new to health care. Their importance as a topic of political change is typically the reason this issue ever seems to come up. A cultural geography of health care has existed in this country since it was first founded and its political leaders turned to themselves for defining the rules for practicing medicine and receiving the support needed for such a conquest. The only reason political leaders have begun to claim the inability to manage these potential changes for the future relates to their lack of foresight and planning. Medicine has always had its normal and accepted modes of practice and its ignored or even unaccepted mode of providing care to those ignored by the system. With the influx of immigrants, culturally defined regions are an expectation of the up and coming population change. The inability of regular medicine to satisfy every want and need of these people pertains mostly to the unwillingness of regular medicine to take on the task of understanding this problem in its entirety. When we take a close look at the various medical schools designed trains its nurses and doctors, we find classes devoted to poverty and the various underprivileged ethnic groups, the fact that these people are in need of more aggressive approaches to basic screening programs and preventive health education activities. The assumption or hope here is that these people will abide by their teachings to the fullest extent possible. But whenever culture comes into play, along with a sense of need for maintaining a certain amount of tradition, this regular health care system loses the race it is in with regard to dealing with the next changes about to take place. As certain ethnic groups and cultures increase in size, the new medical problems that ensue range from foreign born disease diagnoses to culturally-linked physiological and anatomically link genetic and non-genetic conditions, and ultimately the introduction of culturally-bound diseases into the conditions that must be treated. In spite of its continued growth and development over the past century or two, leaders of United States medicine have managed to avoid making the necessary adaptations and changes to this ever-growing population health dilemma. The following pertains to how to we best manage the up and coming changes in the health care system as they relate to the growing need for culturally-targeted health care reform. Several types of regions can be defined for analyzing culturally-linked population health patterns and spatial epidemiology. The culturally bound conditions rely upon culture to exist. The culturally linked are those which demonstrate a unique tendency to flourish in the given cultural setting due to unique, unparalleled biological and behavioral reasons. Culturally-related are those conditions which due to culture have a different behavior than behaviors expected by the rest of the population. Culturally-different are those which somehow otherwise defined as culturally-distinct, commonplace behaviors and health states, due primarily to public pressures and judgments developed by local, areal community service agencies and the like. Due to the number of categories in each of the two groups, there are in theory 6 x 4 or 24 potential variations of combinations that can be defined. In actuality, there are less due to a number of definition-related factors. Community::Culturally-bound: community settings, with people who have diseases that develop for reasons outside the core beliefs of most of the community setting, but believed in by local sub-communities. Service Industry::Culturally-bound: large area, multiple community, towns and cities settings in which the culturally bound syndrome is perceived as a rarity, there for unique regions and typically not focused on as much due to this low rate. These attitudes and behaviors are depicted within the local health care giving programs and buildings, which are usually community health clinics on up in size to large local regional hospitals and specialty physicians’ groups. 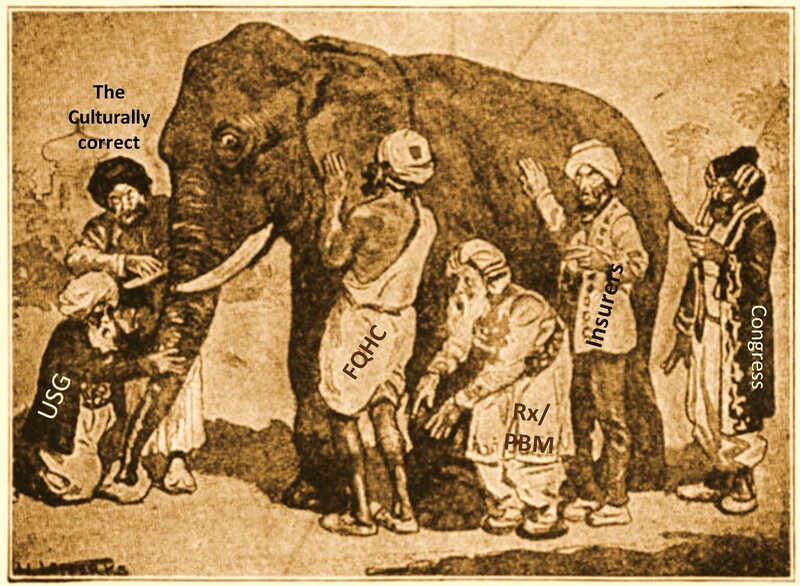 Insurer::Culturally-bound: still larger area, many-community health care sponsoring companies, that have minimal direct contact with clients and patients and therefore tend to formulate their studies based upon economic and general long term financial and service industry metrics, aggregating their data so as to exclude culture from most analyses. They are often focusing on high cost disease issues rather than diseases that are higher cost at the ethnicity level, but not so at the total business level. High cost metrics focus on catastrophic illness, and chronic diseases with long term requirements for high costs services and medications, such as certain forms hemophilia and diseases requiring monoclonal antibody treatment. This impact is diminished slightly by the development of culturally-targeted insurance companies, which try to hybridize personal, cultural care needs with economic and professional economic goals. A draw back to these consumer friendly services noted in an unpublished study of medicaid and medicare patients about 7 years ago was the higher costs linked to normally low cost medications. Cost differences for common medications in these ethnicity/language specific services could sometimes reach 10 or 20 fold, but were not considered to be a significant financial burden overall by small scale businesses and therefore not interventions were taken to control these costs. In general, the private insurer that is culturally-sensitive is interpreted as providing better overall care and coverage. At the cultural level, each program will have its own differences, but should overall be more sensitive to certain culturally-bound issues and culturally-based needs that arise. Federal-Regional::Culturally-bound: these are very large area overseers and regulators. Typically these are the NCQA and HEDIS, federal and NCQA-approved private businesses that are engaged in such processes. These companies also have the potential for examination of data in increments, but usually resort to regional comparisons of specific data sets. Like the previous group, their metrics tend to focus on people counts and finances for large scale disease type categories and specific diseases of special interest such as diabetes, MS, HTN, etc. Their reports focus on counts, prevalence rates, percentiles, averages, ranges, etc. for such metrics and disease groups and special interest disease types, high cost diseases, catastrophic disease rates, fraud and abuse data, financial losses, earnings, cost efficiency, reimbursement rates, etc. Most federal-regional agencies responsible for health care costs and quality pay most of their attention to patient care in proportion to cost. Regional reviewers are businesses serving a a region’s analyst in order to meet certain federal requirements and needs. The culturally-linked health conditions behave like culturally-bound syndromes in many business settings. But culturally-linked diseases often express quite differently. Culturally-bound conditions require cultural behaviors to support them. Culturally-linked syndromes do not. In general, the attention paid to culturally-linked diseases is different, since they are usually very physiological and anatomical in nature and are often considered genetic in origins. Should a history of the knowledge base for these conditions develop, such as through news coverage or inclusion in professionally and publicly circulated medical magazines and journals, these normally rare conditions become better known. One way to better understand this particular issue with culturally-linked diseases is to see how much a behavioral aspect is linked to public awareness. we might even consider ranking these diseases and numerically identifying their level of cultural and social identification and participation. The SUNDS of South Asians, the Moya Moya of older Hawaiians, the Takotsuba are examples of these diseases with very strong cultural, emotional components to their cause for onset and later fatality. Emotions play a less noticeable role in the development of certain immune-related culturally-linked diseases of infectious origins like Noma. By determining the level of public knowledge there is about these diagnoses, we get a better idea of their place in the public health system in terms of cultural priority. For such a score we can use 0 for no public attention, 1 for some, 2 for lot, 3 for more than a lot, and 4 for generally heard about by the public at large (even if the public doesn’t fully understand these health states). Cultural::Culturally-linked: like above, these diseases, although less conspicuous or prevalent, are known by the culture they reside in. Community::Culturally-linked: these diseases may have equal knowledge as well overall, although in some cases silence and lack of knowledge sharing may prevent the knowledge of these from being too well dispersed in the community setting. Conditions which have a negative attitude attached to them will be hidden from a community. The more American the patient and family are who have this disease history to reckon with, and the more negative the public interpretation of this disease itself is, the more silent this history becomes. This social fate for a disease mimics diseases that are found across all cultures, for example epilepsy. There are two sets of values that have to be understood for these diseases and conditions, those of the traditional cultural setting and those of the United States community. Service Industry::Culturally-linked: this aspect of a culturally-linked syndrome has the potential for making the greatest impact on the overall social decisions made and values adhered to about culturally-linked diseases. The potentials for these cases in terms of community involvement and cooperation are much the same as those seen for the local poster children produced due to cases of leukemia, disability, degenerative disease, developmental diseases. 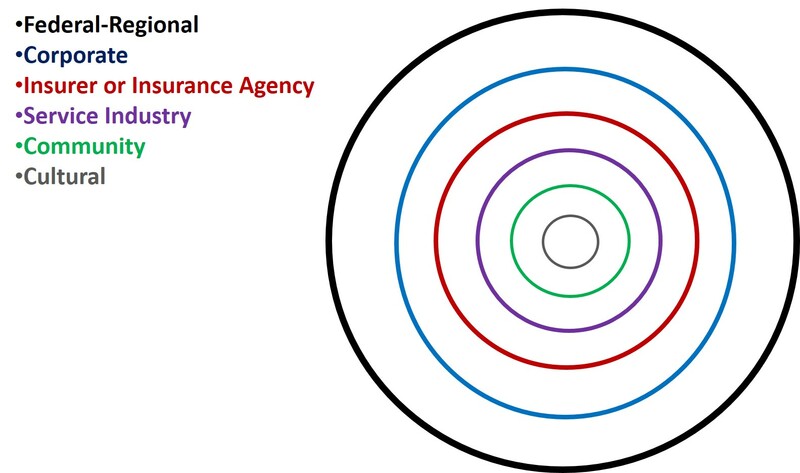 Insurer::Culturally-linked: the role that community-culture interactions play on these conditions make it unlikely that insurance company related interventions are going to develop and serve much of a purpose. Corporate::Culturally-linked: probably the same outcomes will developed as were produced for the insurer relationship. 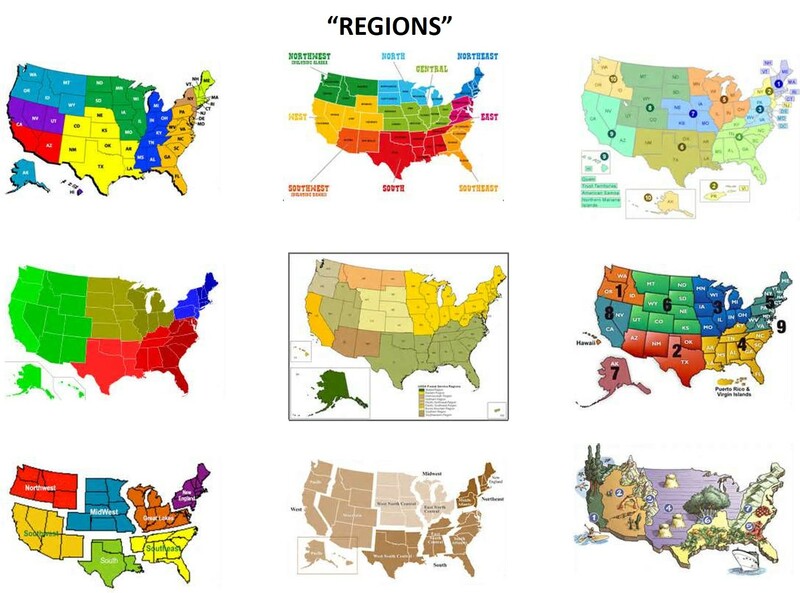 Federal-Regional::Culturally-linked: the poster child history and effect can play a role at at some point for this level, although overall, such outcomes are unlikely. Nationally, statistics play a role in the involvement of these agencies. Service industries and insurers overlap in their knowledge base for culturally-linked syndromes. Each level and each facility or business engaged in these tasks have internal developed knowledge about these conditions, based on professional experience and witnessing the impacts of these condition on revenues generated, and external knowledge they get from researching and participating in events designed to improve public knowledge and perception about these conditions or improve public and business support for preventing and treating these conditions. Any attempts made to improve upon the care provided for these culturally-linked conditions will more than likely be small in size and incomes when related to large national programs developed for the improved screenings and treatment of breast cancer, MS, etc. At the large corporate to regional and national/federal level of engagement, the specialization and experience required for providing very active programs linked to culturally-linked conditions or diseases are generally absent. Knowledge of their existence may exist, as well as infrequent experiences of their long term effects upon the overall cost for health care, but these condition are most often linked to other non-culturally-linked diagnoses with similar organ systems involvement, such as linking Hawaiian and African cardiac conduction, anatomical and morphological disorders with other non-cultural cardiac disease conditions. To better understand the above two sets of classifications of patient-community-health care system interactions, a number of studies have been made and articles published over the years about these outcomes. Usually these articles are produced to demonstrate the important roles that people, community and society can play on improving the quality of life and increasing the lifespan of individuals with these diseases or conditions. Such social activities are no different from similar events that took place for MS, epilepsy, and other fairly well distributed diseases. Culturally-bound and culturally-linked diseases patterns sometimes have the misfortune of being “branded” disease patterns as well. Some such patterns, such as those that are preventible, receive the most negative publicity, such as diseases linked to filthy patterns of living or malnutrition impacting an American family with neighboring communities that lack such suffering. Culturally-related risk has biological (physiological), personal (psychological, behavioral), and sociological components to it. Risk and prevalence increase due to these combined factors. Determining the primary causes often require that we be somewhat subjective in nature at times. By considering these possibly subjective causes for the condition, we can then use this knowledge to begin designing interventions. We can also use this knowledge to come up with ways to reduce to overall rates in the long run, and to improve the quality of life scores for people with these conditions and diagnoses. The diseases in these categories tend to be those most frequently discussed as public health issues. The ethnicity-related statistical problem exists because certain ethnic groups have higher prevalence, severe cases, and often are harder to develop effective interventions for. Whatever the means by which certain disease or diagnostic issues arise as being important locally, we find there to be ample opportunities to engage the community in improving upon their prevention. These conditions and diagnoses are usually those most often associated with well-publicized community events such as local walks, runs, golf events, biking, etc. Whatever the activity, different levels of engagement exist for the much larger social disease issues, including interventions at the cultural level making special contributions to the preventive health care system as a whole, on up to community and national events intervening in their own way, shape and form. This last class of diseases with cultural relationships sometimes is the hardest set of diseases to development effective interventions for, effective prevention measures for, and develop adequate social support for. These are diseases that are foreign born in terms of natural history, and which due to in-migration behaviors are transferred from one place to the next. The greatest barrier to preventing their spread through travel is either lack of knowing about personal infection, lack of allowing that information to be shared with the appropriate offices and authorities, deliberate lack of sharing and concealment of this information, lack of knowing about one’s condition. For the most part, these diseases tend to have some history related to their infectiousness. But there are also many diseases or disease types that are not at all infectious, are for the most part linked to culture, and have a history with either a physical medicine defined public health concern attached to it, or a culturally-defined in-migration concern attached to it. Examples of physical medicine concerns include fears of the infection being spread. Examples of culturally-define concerns include prejudicial judgements made about individual carrying these conditions. The simplest example of the first scenario is the concern that in-migration patterns, in particular those of an illegal nature, can result in the in-migration of active cases of infectious diseases as well, and the in-migration of children who due to their lack of adequate immunization may allow the disease to re-emerge within local social settings. Even more important examples of these diseases and their importance in the public health professional community are infectious diseases that can be transmitted between people and at times are very deadly, like the Ebola virus or El Tor Cholera. An example of the second scenario is the in-migration of a Mexican individual bearing chiclero’s ear, a fungal infection normally not easily transmitted to new people, but with an appearance and association attached to it that prevent it from being reported. Due to the nature of how this disease may enter this country, it has the potential of having a negative connotation, even though it is not very infectiousness. The same is true for other culturally-linked in-migration disease patterns as well such as the Kuru of African culture. Cultural::In migration linked: there is a cultural mechanism often at play that prevents these disease types from being mentioned to the community outside the cultural setting. This sets the stage for local epidemics to ensue should an infectious disease state be involved. Likewise, at the community level, the acceptance of these culturally-linked disease patterns can have mixed social behavioral patterns. Some diseases might have social acceptance attached to their history, others might result in individuals receiving only support from immediate family members. These settings also have behaviors that often prevent cultural involvement with the local community setting, thus prolonging the condition at times and preventing effective preventive health actions and programs from being developed. Community::In migration-link: this relationship is apt to be very problematic, should the right public health education programs be put in place. Infectious diseases will ultimately result in public reaction and government interventions in the form of quarantining, isolationism, forced hospitalization or engagement in treatment protocols, and even deportation. Service Industry::In migration-linked: nearly identical relationship exists, with problems arising due to a cultural setting-service industry disconnect. Public health laws produce greater barriers at this level of engagement in a public health prevention program. Certain disease problems will result in reasonable outcomes, such as those manageable through quarantine/isolation and immunization programs. The others that are not equally managed could result in significant risk locally and in the health care employment settings. Insurer::In migration-linked: from this level on, public health laws begin to intervene with actions taken. There are a number of other possible measures that can be developed for regions for studies of socioeconomics, poverty or income and health. The classic population health studies employ the GINI coefficient, which is designed to measure the relationship between incomes and several indicators of good and bad health. There is the possibility of applying a WIC metric to population studies as well. WIC is a program develop for caring for children by low income mothers, typically of a young age and who qualify for Medicaid assistance and supplemental security income or some other state welfare program coverage. Classic identifiers for unhealthy WIC recipients are noted in the medical records as low birthweight history, a number of poor nutrition or malnutrition related diagnoses, missed well care visits, and incomplete immunization rates for the children. A number of additional diagnoses help to broaden the classification of young mothers including risk groups. For example, a review of medical records can be taken to document and assign each patient a risk score based upon a history of non-compliance, history of chronic disease(s), recent drug or alcohol history, an STD history, recent mental health history, history of abuse of the young mother by another in the nuclear family, history of mother’s parent experiencing abuse, history of young-mother or father related drug or drug withdrawal history, history of exceptionally low income status, history of lack of permanent home or personal belongings stability, or criminal history. Many of these metrics indicated by V-codes rather than ICDs.